Infiniti is to introduce its first pure electric vehicle from 2021 as it pushes ahead with plans to only launch vehicles with electrified powertrains from this date. The move was announced by Nissan CEO Hiroto Saikawa at this week’s Automotive News World Congress conference held alongside the Detroit Motor Show, where he said that a mix of pure electric vehicles (EV) and e-Power vehicles will be offered. E-Power uses a small petrol engine to charge a high-output battery, effectively serving as range extenders as with the BMW i3 and the former Vauxhall Ampera. The electrified powertrains will be offered on all new models with the possible exception of a large SUV and will be the only powertrains available, with no traditional internal combustion engine – except those used in e-Power. However, there will still be combustion engines in previously launched models, such as QX50, or QX80, or the QX60 in US and China. 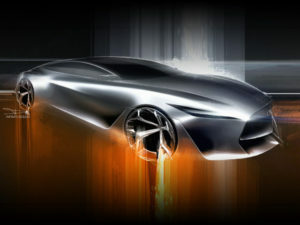 The plans are expected to see electrified vehicles account for more than half of Infiniti global sales by 2025.